Is this another sign that the Scream Queens TV show will be cancelled, rather than renewed for season three on FOX? Series regular Keke Palmer is joining season two of the Berlin Station TV series on Epix. While the news isn’t yet up on the Epix press site, reportedly Palmer will be a Berlin Station series regular. Last week, we reported Scream Queens star Lea Michele had been released from her FOX series contract. A spy drama, season one of Berlin Station premiered on Epix, on October 16, 2017. Richard Armitage stars as CIA agent Daniel Miller, on assignment in Berlin, Germany. Rhys Ifans, Richard Jenkins, Michelle Forbes, Leland Orser, Tamlyn Tomita, Roger Ringrose, and Bernhard Schütz also star. Palmer will play April Lewis, the newest and youngest case officer assigned to Berlin Station on her first field assignment after making her mark as an analyst at Langley. With a bracing combination of millennial intrepidity and old-fashioned sass, April brings a new-guard mentality often at odds with her old-guard colleagues in a system struggling to preserve its besieged identity. But she is no less determined to make her mark in Berlin as she did back home at headquarters. Epix renewed Berlin Station for a second season, back in November of 2016. Season two production will begin in March. Creator Olen Steinhauer executive produces with showrunner Bradford Winters. Eric Roth, Steve Golin, Kerry Kohansky-Roberts, Keith Redmon, and Luke Rivett also executive produce. Scream Queens: Cancelled or Renewed for Season Three on FOX? Scream Queens season two did not perform well in the Nielsen ratings. It only averaged an anemic 0.61 rating in the 18-49 demo and a total audience of 1.445 million viewers. Those numbers are quite low for a broadcast network, like FOX. In fact, it’s one of FOX’s lowest rated TV shows, whether sorted by its demo ratings or audience size. Back in January, during the TCA Winter Press Tour, FOX entertainment president David Madden acknowledged Scream Queens‘ problematic linear ratings. He was, however, pleased that it drew a young audience across multiple platforms. When FOX makes an official cancellation or renewal decision, we’ll let you know. What do you think? 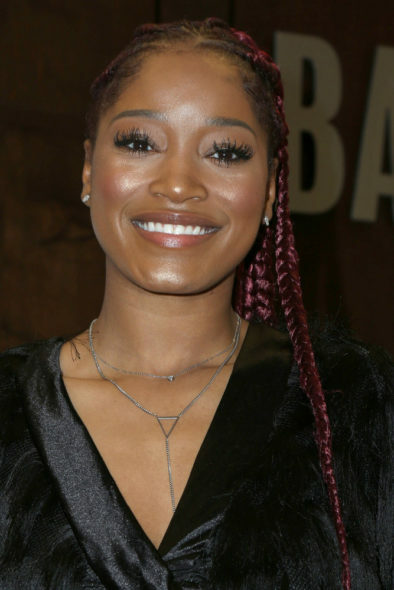 Are you a Keke Palmer fan? Do you plan to watch her in the second season of Berlin Station on Epix? Do you think the Scream Queens TV show will be cancelled or renewed for season three on FOX? More about: Berlin Station, Berlin Station: canceled or renewed?, EPIX TV shows: canceled or renewed?, FOX TV shows: canceled or renewed?, Scream Queens, Scream Queens: canceled or renewed?